Fashion Tower, Emeroy Roth, 1922. From the Avery Architectural and Fine Arts Library, Columbia University in the City of New York. Emery Roth, best known for his Upper West Side apartment buildings, designed three Garment District lofts. 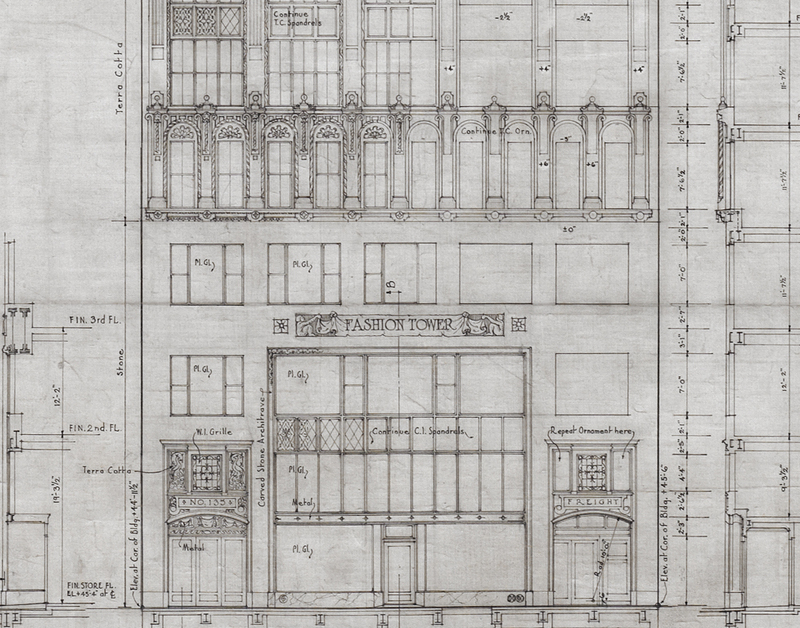 His Fashion Tower is a rare example of a Garment District building ornamented with imagery reflective of the women's garment industry (Emery Roth's elevation drawing hangs on the other side of this case). 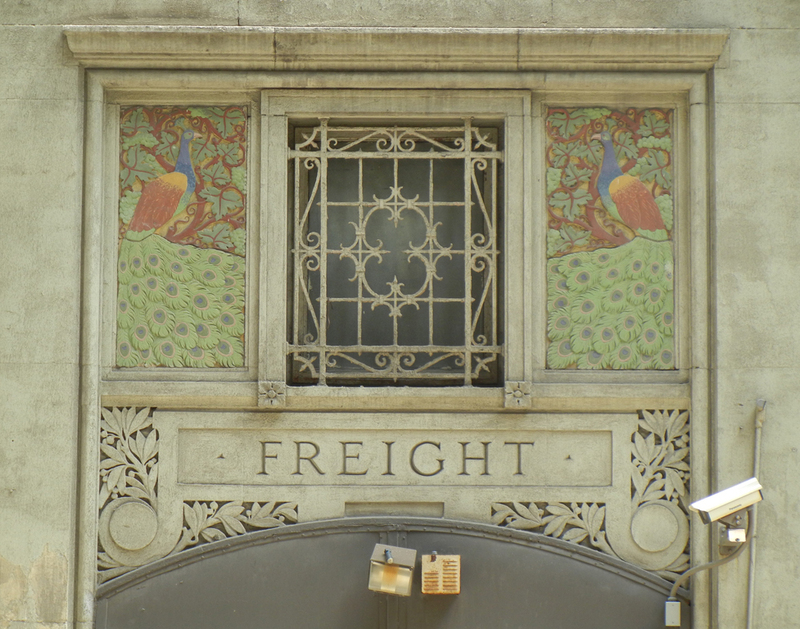 The freight entrance is crowned by a pair of colorful terra-cotta peacocks with their ornate tail feathers fully evident (peacocks are a traditional symbol of women's fashion, often appearing as ornament on women's fashion boutiques). 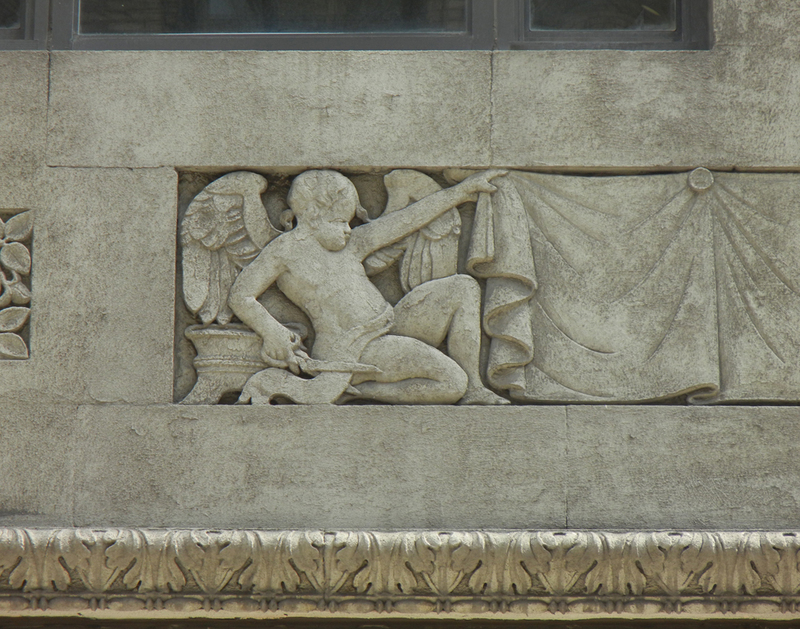 Winged putti, one carrying shears, unfurl a band of fabric emblazoned with the buildings name above the second floor. 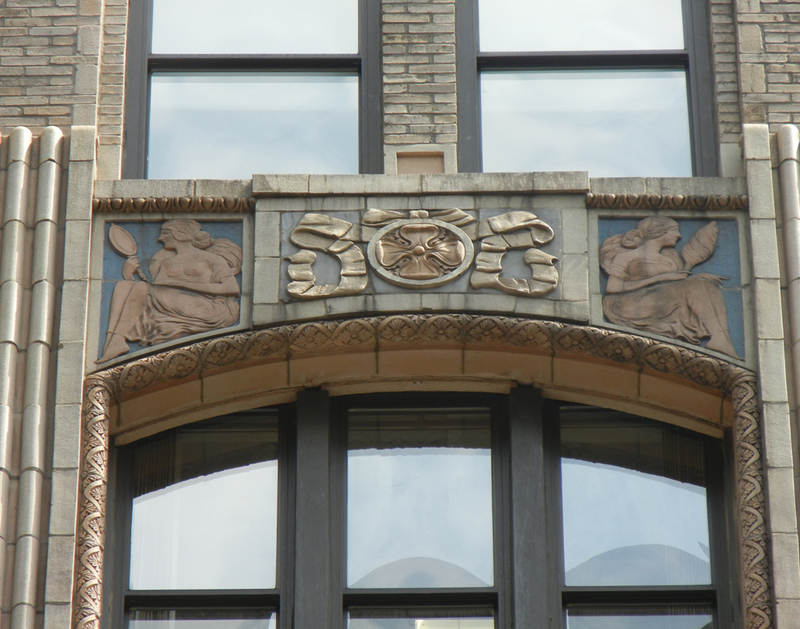 Above the sixth floor windows are panels alternating with women admiring themselves in a mirror and carrying cotton spindles. Left: Putti With Shears, Collection of Andrew S. Dolkart. Right: Women With Mirror and Cotton Spindle, Collection of Andrew S. Dolkart. Left: Detail of Ground Floor. From the Avery Architectural and Fine Arts Library, Columbia University in the City of New York. Right: Freight Entrance With Terra-Cotta Peacocks, Collection of Andrew S. Dolkart.